A sediment control is a practice or device designed to keep eroded soil on a construction site, so that it does not wash off and cause water pollution to a nearby stream, river, lake, or sea. Sediment controls are usually employed together with erosion controls, which are designed to prevent or minimise erosion and thus reduce the need for sediment controls. Sediment controls are generally designed to be temporary measures, however, some can be used for storm water management purposes. CoirMesh™ coir erosion control blankets are open weave, pure coconut, meshes that offer the strongest and most durable natural fibre surface erosion control solutions available. They are therefore recommended on sites where erosion forces/climate are harsh, or plants slow to establish. Erosion is a common challenge on construction sites. Without grass, bushes, trees or other vegetation to anchor the soil, running rainwater can very quickly cut its way through open areas taking the soil with it. The Ultra-Erosion Guard was designed to prevent this. By placing the unit in ditches, gullies and other areas where water has the potential to drain through, the Erosion Guard reduces the water’s velocity and filters out sand and sediment, keeping it in place and preventing it from getting washed away. Terrastop Premium Silt Fences use specialised silt fence fabric used as an entrenched interceptor fence to control pollution caused by silt laden construction site stormwater run-off. 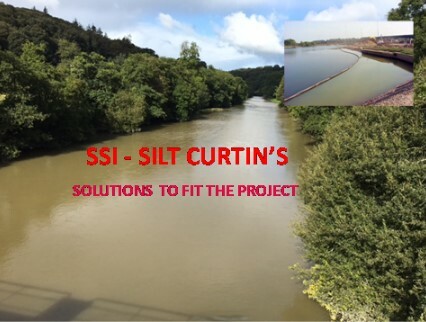 Floating silt curtains are designed to control and manage sediment flow within water. In brief, floating silt curtains consist of a top flotation pocket using an environmentally safe and 100% recyclable closed cell foam. In addition to foam buoyancy we can manufacture our pvc range of silt curtains to be air filled. Silt Dewatering Bags provide an economical and effective solution. By pumping water into the bag, contaminants are trapped and filtered so only water escapes to the ground below or nearby storm drains. Sedimats™ are used in waterways during in-stream construction activities (such as pipe laying or dredging) to trap disturbed sediment that may pollute aquatic habitats downstream.